Carolyn's House is a conversion of an existing nursing and training facility known as the Vincentian Residence into Niagara Falls’first housing facility for homeless women and their families. 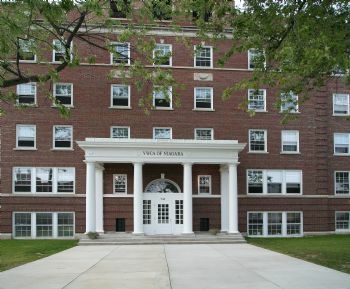 The building, abandoned for nearly twenty years, has been adapted to feature nineteen apartment units for women and children with a child daycare center and an on-site culinary training institute. This 5 story, 32,000 SF structure is an example of early twentieth century greek revival architecture and historically registered on both a national and state level. This project was completed with funds provided by both the New York State Office of Parks, Recreation and Historic Preservation, with historic preservation tax credits and grants from HHAC, the Homeless Housing Assistance Corporation.